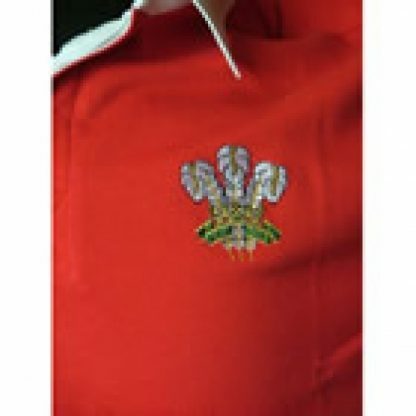 Traditional long sleeve welsh rugby shirt. 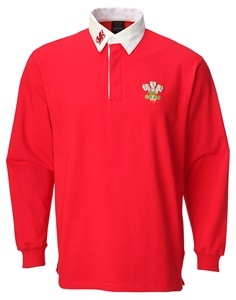 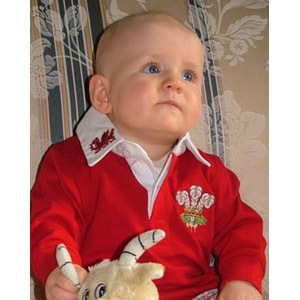 Traditional long sleeved Welsh rugby shirt. 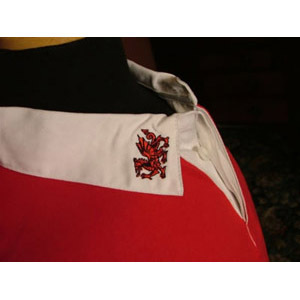 Vibrant red with a white collar that is embroidered with a small red dragon. 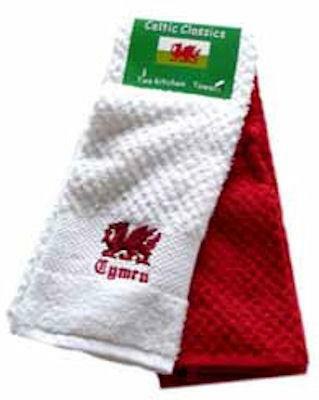 It features the Prince of Wales feathers (Ich Dien) motif on left breast and a small Welsh Flag motif on the reverse. 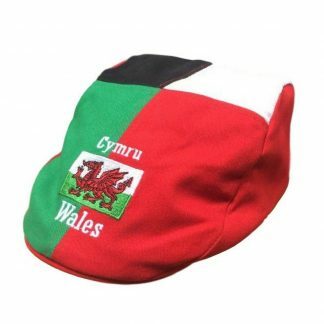 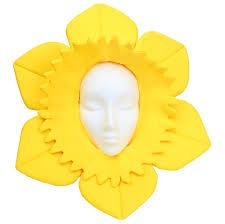 Also available in adult and children’s sizes.